Do you know about the Best Free Keyword Research Tools? Tools that work for every blogger Make it easy If you already know about the tools I tell you, then it is a great thing and if you do not know then there is no need to worry because today you will be able to give people the best free tools for keyword research. I am going to give full information in Knowing which you might even use it in your blog. And the best part is that these tools are absolutely free. Like we know this thing well that SEO's basic foundation sida Keyword Research Other factors such as On-Page Optimization, Content Quality, and User Interface etc. Many companies invest millions of rupees in keyword research so that they can get their targeted content. So you have yet to understand how important the right keywords are for your blog. Now the thing arises is how good keywords can be found. To solve this problem, today I thought that you have asked people about free keyword research tools for SEO which is very important for bloggers. Then what are the delays, let's start and know what these Keyword Research tools are and how to use them. Keywords are such important words that the search engine knows about what your website or blog is about. Keep in mind that you do not use your main keywords too much. The keyword is called Stuffing. This can lower the rank of your blog, which is not a good thing for you. Good keywords are like more people are searching and they have some significance too. Whatever keywords you choose have your own Those for SEO (Search Engine Optimization) Very Important Your Blog or Website Is Good For Ranking The choice of the right keywords is not so easy to analyze. By then you can think of which fits of anger will work for you and who does not. Fortunately, we have many tools online available to choose the right keywords and using which keywords are used to us. By the way, two types of primarily. The keyword is a Research Tool. They are used to find keywords that other competitors use to bring good traffic. If I talk about myself, I like Competitors based keyword research because keyword research means finding keywords that are more profitable. In such a case, if any keywords are beneficial to someone else, then surely they will be for any other. Do you want to rank your blog? Want to bring your article to Google's first page? If yes, then you have to choose good and profitable keywords for it, so many viewers will be searching Karen and some good content creators will have to make use of keywords here but there is a challenge. If all people use the same keyword research tools, then everyone will find similar keywords and it will be difficult to compete with each other. Then what is the Best Keyword Tool? If you choose popular keywords which are being selected by all, then you will have a lot to do in ranking. Because there is too much competition for it. And if you are thinking that you will rank such keywords which are not doing any search then it is not okay because this will not give you any traffic because no such thing is happening to anyone. So in this, we will have to do good keywords which have a good search volume and with it should also be profitable. For this, we have to take help of Keyword Research Tools. In today you will be able to tell people about the best free keyword research tools present on the Internet. Using which you will be able to find good and profitable keywords. Advertising is designed for you but you can use it to search for organic keywords by customizing your search result. In this, you have to type your keyword and select Country. Giving them information about search volume and CPC. You can do these things with the help of Keyword Planner: You can search new keyword and get ad group ideas Search Volume can predict about the list of keywords in the list of Keywords Traffic. Keyword lists only multiply can get the idea of keywords. simultaneously, along with it we find out which keywords are better than Organically and Advertising's perspective. The keyword tool watches online keyword research instrument uses the Google Autocomplete feature and opens hundreds of long-tail keywords relevant. Google Search uses Google Autocomplete's feature Its purpose is to speed up the search made by Google. There are many reasons behind the search term Google Autocomplete GRI, one of the reasons is that users who mostly search. Keeping Google Autocomplete saved them in past search so that Search speed up. Keyword Tool helps you to use Google Suggest to do keyword research. This takes Google Keyword Suggestion data extract and gives you easy easy-to-understand interface. You can generate approximately 750+ keywords in Keyword Tool-free version. But in the Paid version it can generate two times more keywords. If you have a lot of channels and you want to do a keyword research, then for you. Soovle would be the best tool. With the help of Soovle, you can search the most type of keywords and all the search engines if you type root keyword. It's not just a great Keyword research tool, but it's a very good tool to generate good idea auto. Because if you type any new idea in it, then it will slowly give you the best ideas related to it by AutoGenerate. These are a very good keyword research tool. All of whom should try once. Because it is so fast that the Okay button also does not exist here. Here's how to start a research campaign: Whenever you type in a keyword, the keyword renderer automatically gives you the keyword search by searching for it too soon. There is a Keyword Competition indicator which is like a Speedometer. This indicates which keyword is worth ranking or not, along with it provides you with good and new keyword ideas whenever you ever stop translating keywords. So that helps you find the keyword. Along with this, you also see Keyword CPC and estimated potential earning. It also lets you check the Keyword difficulty level so that you know about the competition level. You can use KW Finder for free. But only a few limited times in the day. If you want to use it more often you will have to buy it. You can use the tools described here as a keyword research for you. If you use any of the free tools that I have not included in the list, then you can mention it in the comment so that others can know about it and they also benefit. 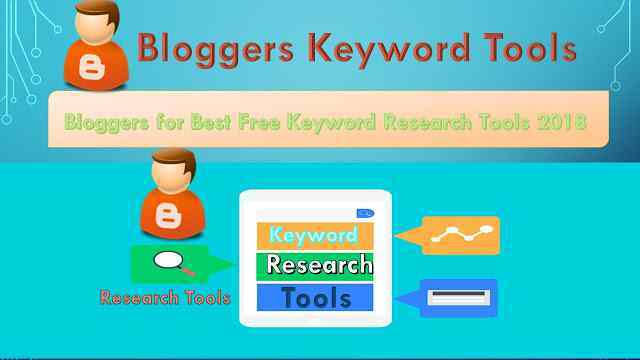 I sincerely hope that I give you people for bloggers Give full information about Best Free Keyword Research Tools and hope you guys have come to understand about the best keyword research toot list.